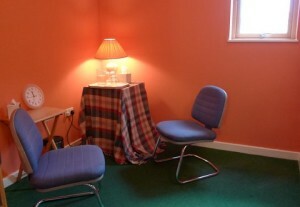 Ideal for counselling sessions or interviews, this small first-floor room can be hired by the hour. Accessible via lift or stairs, it has natural ventilation. Toilet facilities are also available on this floor.